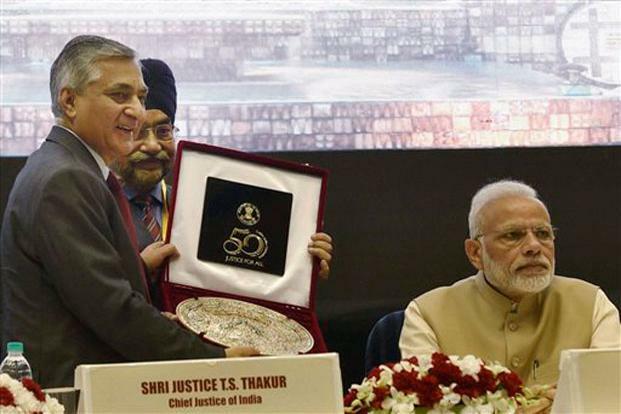 Setting the stage for an explosive war of words, the Delhi High Court brought the Centre and the judiciary together on a table and threw in Arvind Kejriwal and Najeeb Jung with them to celebrate 50 glorious years of the high court. To the dismay of many, the stage didn’t quite explode but there surely were some friendly neighbourhood firecrackers. 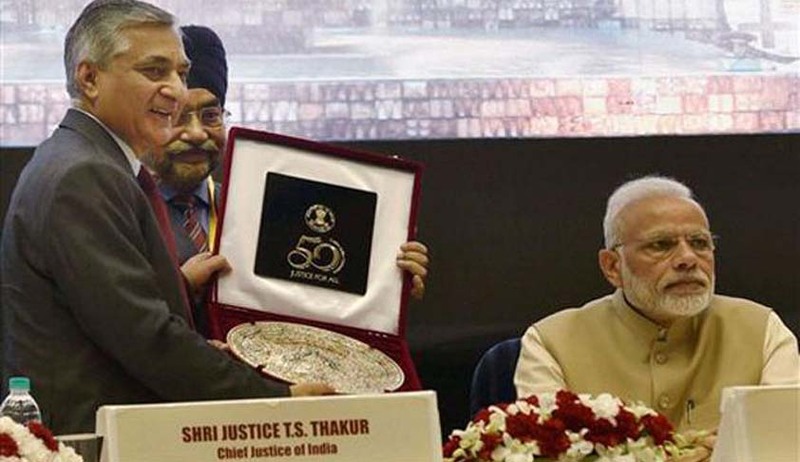 The event held at Vigyan Bhawan was presided over by Prime Minister Narendra Modi and attended by Chief Justice of India TS Thakur and other judges of the Supreme Court and the high court in attendance today. “During my meetings with judges, I have overheard them telling each other that they should not talk on phones because they could be tapped. I told them the phones of judges cannot be tapped, and they retorted by saying that all phones could be tapped. I don't know whether it is true or not but there is a widespread fear. If it is true that phones are tapped then, judges can be influenced...."